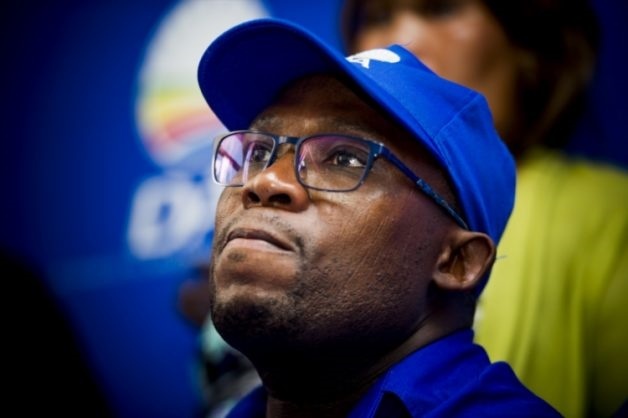 DA Western Cape leader Bonginkosi Madikizela held a press conference Thursday to clarify concerns about the delay in a social housing project in Salt River. Madikizela said that the project was not blocked and only put on hold because of various concerns that the DA-caucus brought forward, GroundUp reported. Members of residential activist groups Reclaim the City and Ndifuna Ukwazi were outside the headquarters of the Western Cape after they were excluded from entry. Their songs and songs were heard in the conference room. They protested against what they think is the DA's lack of action in offering government-subsidized affordable housing near the city center. The meeting began with Madikizela's call to "correct the facts". He disputed accusations that the DA & # 39; racist & # 39; was to postpone the project. Madikizela blamed Brett Herron, the former member of the Mayoral Committee for Urban Development – a loud advocate for state-subsidized housing near the city center – not just for the delay in clearing the Salt site River, but in previous cases where the city could not carry its social housing agenda. "We started with the development of Foreshore," he said. "Now you know very well what the abandonment of that development is the forensic investigation against Brett," Madikizela said. He told the press that it was not the fault of the DA for social housing stops in the city center. "It is the people who have left this party … [that have] the citizens of the city proved a huge bad service. " Madikizela defended the social housing projects of the city that are underway, even though none in the inner city has reached maturity. "If you look at our entire pipeline, this clearly indicates the commitment of this government [to social housing]. " DA-subway chair Grant Twigg blamed Herron for making the future of the Salt River development even more uncertain. "I would like to say that we would have all the information at the next city council meeting, but the person who had to give it was gone," he said. Ward Councilor for Salt River Dave Bryant also denied that the DA was divided on providing affordable housing to Capetonians with a low income. "I have not found any councilor in the DA Caucus who has ever stood up and said they are opposed to well-located affordable housing in the city center." Bryant said the Directorate for Transport and Urban Development has put together a portfolio of social housing projects in Woodstock and Salt River. "The challenge is not the projects themselves, but our challenge is the speed with which these things (social housing projects) are rolled out." "The removal … should actually come to our full board in March, but it came to us in October," he said. Karen Hendricks protested outside the briefing with dozens of supporters of Reclaim the City. Hendricks was kicked out of her Woodstock house three months ago. She currently lives in the illegal occupation of Reclaim the City at Woodstock Hospital. Hendricks told GroundUp: "The Salt River Market site should have been the first site developed for affordable housing." "As a person who lives in Woodstock, Salt River and is part of the larger movement of the people, I think this project should have taken place much earlier," she said. In the briefing, Bryant admitted: "Unfortunately, many of these projects have taken far too long." But the DA is blaming the alleged mistakes made by former municipal councilors. Madikizela said: "It is true … very little has been done in terms of development in the inner cities." He said that development took time. "These developments are at different stages, many people know that it takes no more than two years to build houses." Both Herron and Communicare have contested the reasons given by the DA for delaying the Salt River project. "It is disappointing that in Cape Town, the spatial legacy of apartheid is still perpetuated by this political party," said a demonstrator after the press conference. "We no longer want to be displaced," Hendricks said.